Hey guys, 2014 is on the verge of completing its tenure and everybody is searching for the best things that has happen in 2014, same in the Apps as well. 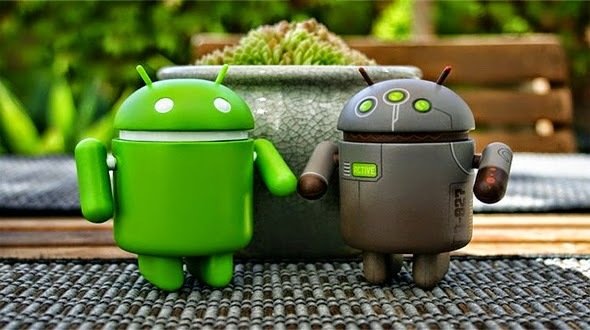 Google has realised the list of the most popular android apps. 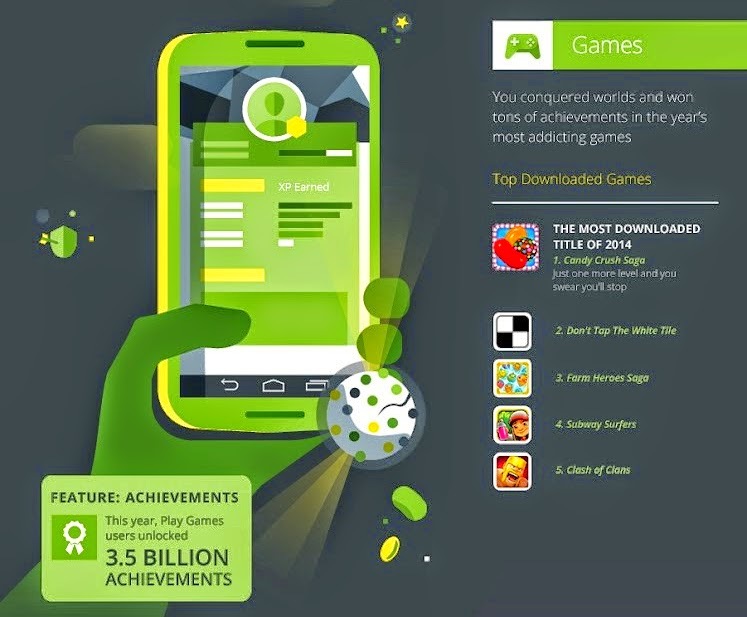 Google has released the ranking for the most downloaded apps and games of 2014. They have divided the competition into eight categories featuring Education, health & fitness, music, photography, social, entertainment, sports and travel. The games have been separately listed with their ranking. Share your guesses with us in comment section below, we will love to see your list in these categories. So ladies and gentleman here comes list realised by Google. 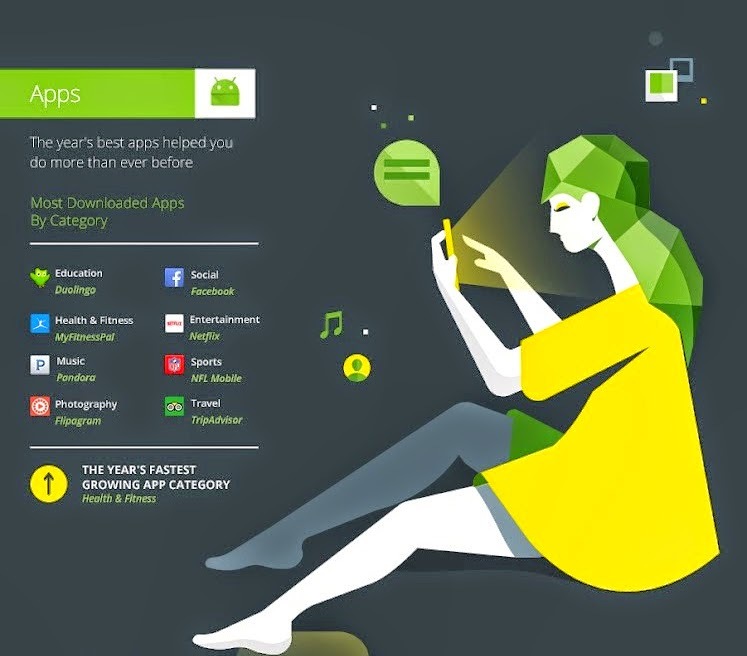 According to Google fastest growing app category of 2014 was health and fitness. In the list for most popular mobile games of the year includes Candy Crush Saga, Don’t Tap the White Tile, Farm Heroes Saga, Subway Surfers and clash of clans.